This week's edition of the Monday Morning Placekicker is coming at you in the afternoon, because, well, the holidays are over and it's all foggy and wet out and, ya know, other excuses. But in case you spent the weekend in a post-holiday coma, here's what happened in the sports world, in case anyone asks. 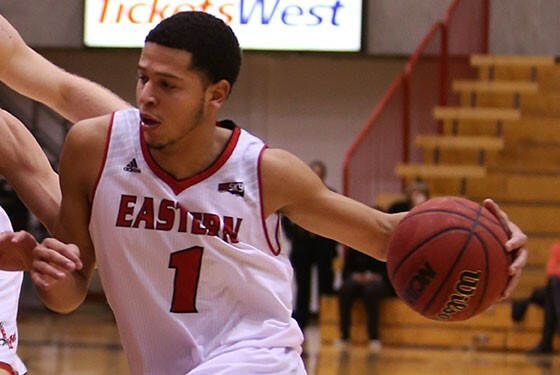 I've been rather upfront about my reckless jump aboard the Eastern Washington men's basketball bandwagon and on Saturday the bandwagon took me out to Cheney for the Eagles second Big Sky Conference game. They had taken a win the previous Thursday from Weber State behind 39 points from Tyler Harvey and on Saturday faced Idaho State, a three-win team that had traveled all the way from Pocatello (aka God's Armpit) on a bus for the game. There's this thing about Eastern that will drive my fellow bandwagon fans bonkers: they really play to the level of their opponent. This is good when they knocked off Indiana and nearly did the same to Washington and Cal, but then they struggle with a non-Division I squad like Lewis and Clark and then, on Saturday, let Idaho State hang around with just minutes left in the game. Thanks to some great effort off the bench (Bogdan Bliznyuk had 17 points after Drew Brandon left with back spasms) and a string of forced turnovers, the Eagles prevailed 65-57. Venky Jois had 16 points, as did Harvey — who we should mention is the nation's leading scorer. If you needed another reason to get on the bandwagon, you shouldn't need a reason other than Tyler Harvey. For the first time in 15 tries, the Washington State Cougars men's squad won a road conference game. They went all of last season without winning on the road, if you can believe that. But Ernie Kent's maybe-better-than-we-thought Cougars won down in Berkeley, beating Cal 69-66. They are currently the only Pac-12 team to win on the road this season, after a number of surprising scores for the first weekend of conference play. For example, Washington lost to Stanford on Sunday, after having lost to these same Cal Bears on Friday. Needless to say, the Huskies are no longer ranked in either poll, despite flirting with the top 10 just a few weeks ago. Speaking of rankings, Gonzaga saw their ranking go up to No. 6 in the AP poll, their highest spot since heading into the 2013 NCAA Tournament at the top of the polls. Apparently, sports writers were impressed with the Zags two road wins last week: a gritty, kinda sloppy meeting with San Diego a week ago and Saturday night's closer-than-expected win in the always-tough Chiles Center at the University of Portland. Against Portland, Kevin Pangos dropped in 21 points, as did big man Prezemek Karnowski, which was good to see. Don't make the mistake of making conversation by asking people if they saw the Seahawks game this weekend, because the Seahawks didn't play. They didn't have to play, because the best damn team in the NFC isn't required to do so on the Wild Card Weekend. The Hawks will play Carolina in Seattle on Saturday at 5:15 pm.